What: This camp is three days full of instruction from 24+ of the top college coaches in the Rocky Mountain region. Each day will include position specific offensive and defensive instruction from the college coaches, along with controlled scrimmages coached by the college coaches. When: Participants need to be at Howelsen Park at 7:00 a.m. on Monday June 3 to check in, camp will start with the welcome and introduction at 7:45 a.m. On Tuesday and Wednesday camp will begin at 8:00 a.m. Camp concludes no later than 3:00 p.m. on Wednesday, June 5. Why: This is the most intimate instructional college exposure opportunity for players in Colorado. Not only will you learn from the best, you will have the opportunity to form a one-on-one relationship with the college coaches in attendance. Camp Includes: Practices & Games; including throwing instruction, hitting instruction, base-running techniques, fielding instruction and reps, pitching in live game situations, catching drills and reps, plus 4-6 competitive games, with individual instruction. Price: $300 per person. Register as a team or as an individual. If you would like to register as an entire team please contact Alyson 970-672-0571 directly for pricing and options. **A camp t-shirt is included in the entry fee and lunch is provided each day. Entry Deadline: May 24; we only have room for 40 campers and we sell out early each year. Register now to take advantage of this great opportunity to interact and form relationships with college coaches. Equipment Required for Participants: Softball pants, T-shirt, jacket, sweatshirt, snack and a water bottle. Playing equipment: glove, softball shoes, bat, windbreaker, softball cap, batting glove. Catchers are required to bring their own catching gear. 2018 will mark the 20th year of the Mountain Magic Camp. Starting in 1999 this camp combines instruction from college coaches during drill sessions with game situations to maximize the camp experience. By placing college coaches on the field through the entire camp process players can also build relationships and see different coaching styles over the 3 days, the relationships built will aide in the college recruiting process. The Mountain Magic Fastpitch tournament follows the camp, a number of the college coaches will stay in town to recruit during tournament games after the camp. "I have attended many camps in my years of coaching but the Triple Crown Mountain Magic Camp was one of the best run camps for the athletes I have seen. Dave King, President of Triple Crown personally runs this camp, takes extreme pride in it and makes sure that every athlete receives the quality instruction they deserve. The athlete's leave the camp having been able to receive guidance on the sport they love from some of the best college coaches in the country! Every athlete gets to interact with multiple college coaches and develop relationships that can certainly help them in their future...Great Job Dave and Triple Crown Staff!." 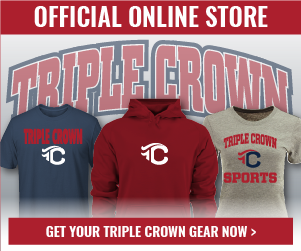 "The Triple Crown Mountain Magic Camp is a tremendous opportunity for player to learn from a number of college coaches about techniques and philosophies of the game of softball at the Collegiate level. The camp also provides a unique opportunity for the athlete to work one on one with college coaches on specific skills of the game while also getting exposure to College Coaches from all over the United States. I look forward to the Mountain Magic Camp every summer! ." "The Triple Crown Magic Camp was a great opportunity for me to get an early look at prospective college player's for 2013. The Camp is first class as with all the TCS showcase events. I especially enjoyed the interaction I had with the individual player's during the morning and evening sessions. I would strongly recommend this camp to anyone looking to further their career in fast pitch softball. Coach Garcia Otero Junior College"